Femininity is not what looks good on paper or what others tell you to do; femininity is what feels right in your body. The health and wellness world has a lot of suggestions on how we “should” be doing self-care. We’ve all seen the lists: take a bath, get a manicure, read a book, etc. Some of these, like meditation and connecting to nature, have scientific benefits due to the biology of how the human brain and body function. But what if you're already doing these and still feel rundown? Or what if you’re like me, and getting a mani/pedi sounds awful and stressful instead of relaxing and nurturing? If you feel like your self-care practices are taking more energy than they’re giving or the recommended "shoulds" don’t appeal to you, it can be easy to feel like you're failing before you've even started. Instead of getting frustrated, allow yourself to recognize the beauty of the truth that we are all unique humans. Our uniqueness means that, in the same way we have very specific food preferences, there is no "one size fits all" prescription for self-care. 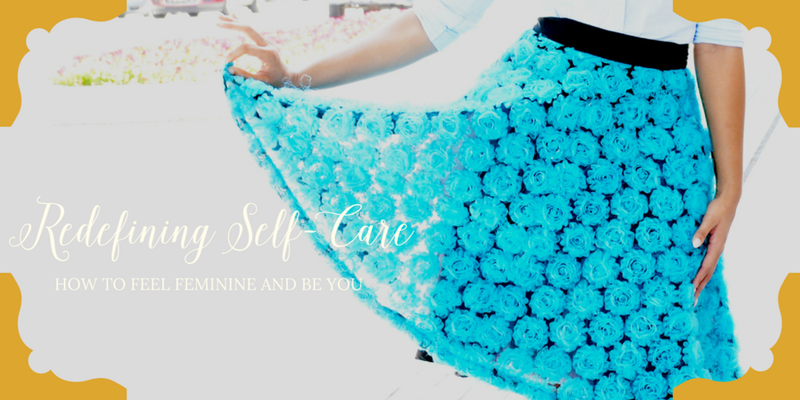 One of the ways to sift through the plethora of self-care advice and hone in on those specific practices that truly resonate for us on a soul level (while also allowing us to get the most benefit out of our time, money and resources) is to clarify our personal definition of femininity. First let’s define what it’s not. It’s not what anyone says you “should” do. It’s not what looks good on paper. It doesn’t feel forced or like pushing. And it doesn’t drain your energy. Femininity is what feels right/good in your body. It’s what sparks joy and makes you feel alive. It’s flow and ease. It’s the go to outfit that always makes you feel amazing. It’s the quote you read that gives you goosebumps. It’s the activity you do that makes you feel, grounded, confident and uplifted all at the same time. Lastly, remember that it’s about fun! Keep experimenting, if something doesn’t fit, try something else. And keep it playful. Allison Richard is a Stress Management, Self-Care and Sensual Living Coach who resides in NYC. She loves empowering women from around the world who desire to live beautifully, love magically and dream passionately. Learn more about her adventures at allisonrichard.com or on Instagram @allisonlrichard. Allison Richard is a Stress Management, Self Care and Sensual Living Coach who resides in NYC. She loves empowering women from around the world who desire to live beautifully, love magically and dream passionately. Learn more about her adventures at allisonrichard.com or on Instagram @allisonlrichard.